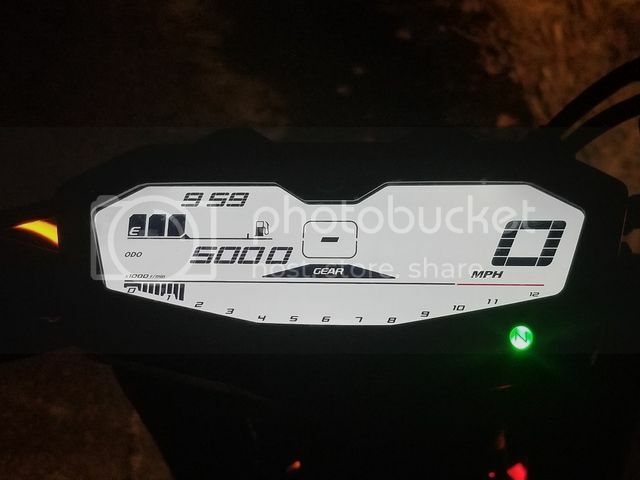 So this will be similar to the one I made for my 2015 FZ-07 where I post mileage and service records for my new 2017 FZ-07. 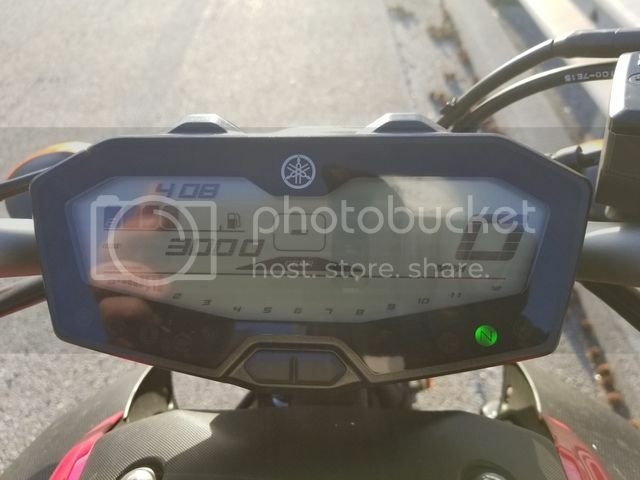 Picture is actually from my '15 FZ since I wasn't able to stop and take a picture this time. 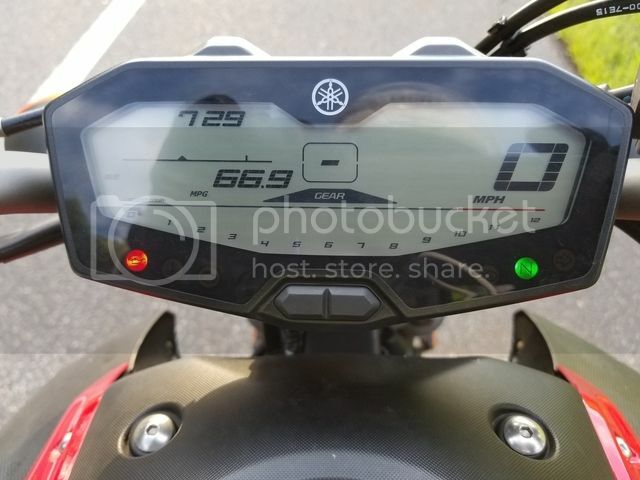 Just to reference the last post I made like this one for my '15 FZ-07. 2,000 miles in 1 month and 1 day. Was on a ride with my dad and two friends of ours when on our way home we stopped for fuel, my dad and one friend pulled into the fuel station, I went to when I see our other friend on her cruiser right next to me yelling. She sideswiped me at about 15 mph (I was doing about 10 mph) Knocked me off balance and dropped the FZ-07 at about 5 mph. Only damage from the actual drop was a bent rear break pedal (bent it back) and a scratch on the right bar end. 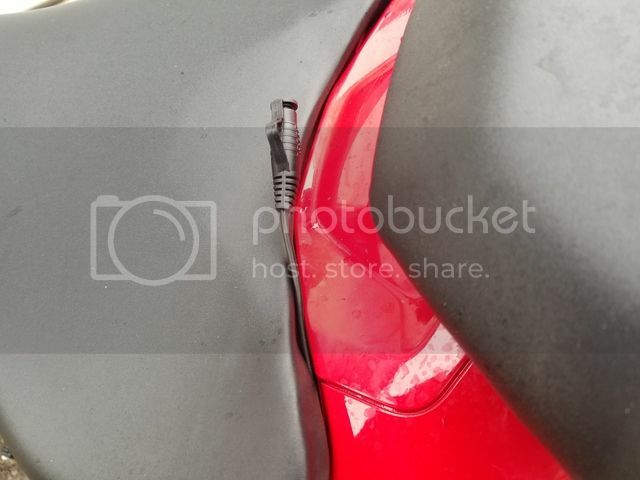 Only damage from the impact of her bike into mine was the upper coolant pipe coming out of the motor got dented, isn't effecting coolant temps. I'm going to have it fixed during the 4,000 mile service (I'll probably be doing that in the first week of January). Should only be between $100-$200 to fix it with a coolant flush. Unless it's part of the side case which could be double the cost. She's paying me back for it so I'm not worried and no one got injured. 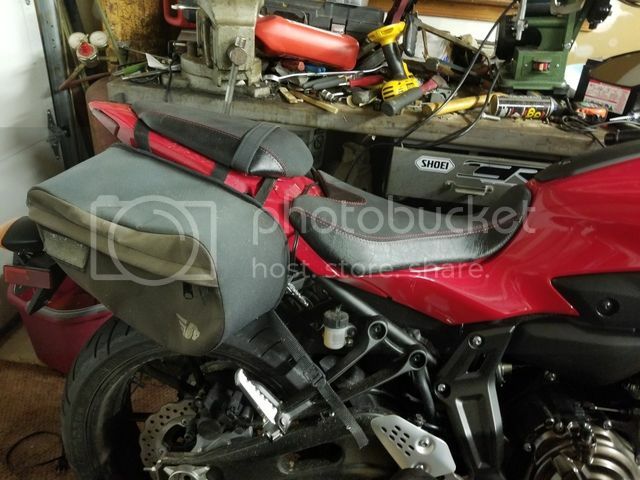 Dropped the FZ-07 off at the dealer for the 4,000 mile service and to have the damage from the drop repaired (coolant lines out of the motor replaced and a sensor that had damaged wires and a coolant flush) should be around $250 for that plus the 4,000 mile service and having the left side seat retaining bolt & threaded hole replaced/repaired as when I put the comfort seat on I cross threaded it by accident. I'm guessing the total will be around $600 and whatever the drop damage costs I'll get back from the woman who hit me. Just passed 4,000 miles, current average is 1,000 miles per month. 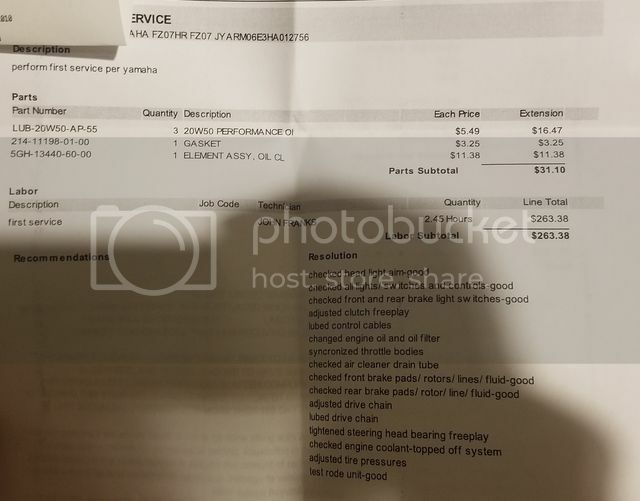 4k mile service completed as well as having the damage to the coolant lines repaired from an accident two months ago ($205 for the upper pipe, a sensor cable and coolant flush). 4,000 mile service was about $620 after tax and also had the left seat fastener bolt replaced and the threads repaired as I stripped them when I put the comfort seat on. Reached 5,000 miles last night, on my way home. Brings my average up to 1,250 miles per month. I'm riding the '17 about twice as often as I did my '15 FZ-07. It's my main mode of transportation (unless it snows or I need to haul people or items). After 5,000 miles my average MPG is 54.8 documented from the first fill up from the dealer after I bought it. 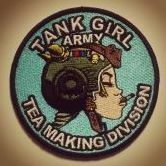 I'm following the manual for services to a T and plan to do so until it's out of warranty (also extending it sometime in the next few months), once the warranty is up I'll be doing most of the services myself. How do you like the comfort seat? How much was it as well? Curious about the seat, too. Did it add any height over the stock seat? 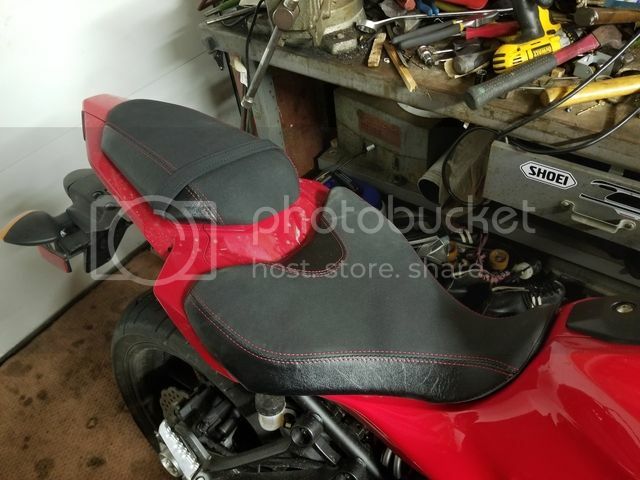 The comfort seat added maybe 1/2"-1" (don't know exactly) over the base seat. 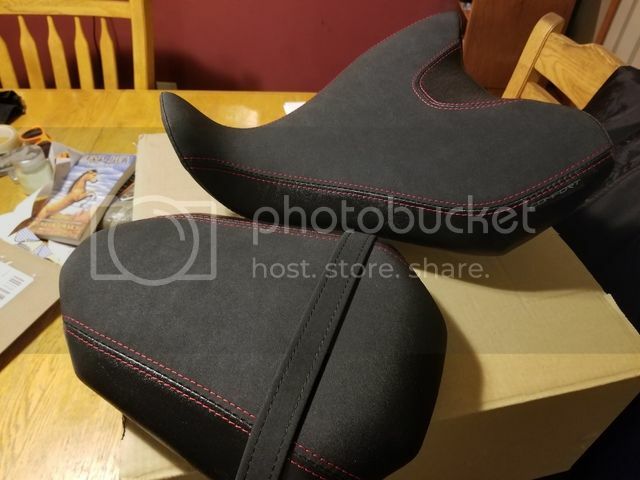 I got my set (rider and passenger seat) for $280 after shipping and no tax as I bought it out of state and had it shipped to where I live. It started out a bit rough compared to the stock seat but as it broke in (after about 2 weeks) it got pretty comfortable and now with about 2,800 miles on the seat it's a great investment. Just passed 6,000 miles, going to shoot for 7,000 by next Sunday. I may not be riding the bike for up to 13 months after next Monday so getting in what I can before Monday. 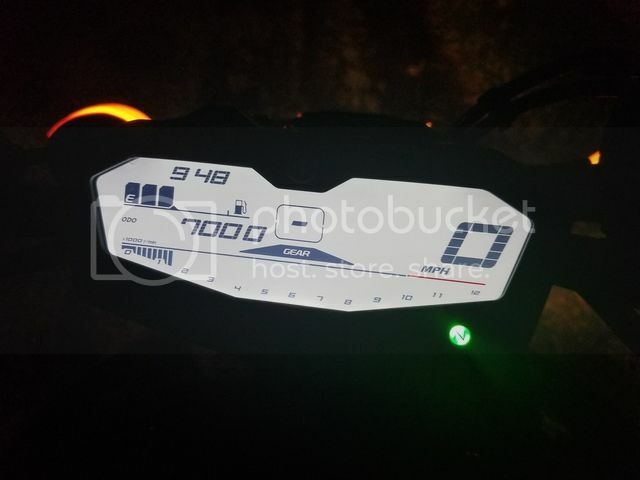 Well, as promised I reached 7,000 miles about 30 minutes ago just before reaching home. A little late to update but passed 8,000 miles on 7 May. Haven't been riding since I got home that night as I'm waiting to finally take it to the dealer for the 8k mile service (likely taking it next week). Just dropped her off for the 8,000 mile service with 8,011 on the odometer. Should have her back by Monday. I plan to have at least 10,000 miles on her by 9 July when I'll likely be losing my license for a half year due to some unfortunate events on the morning after St. Patrick's day. 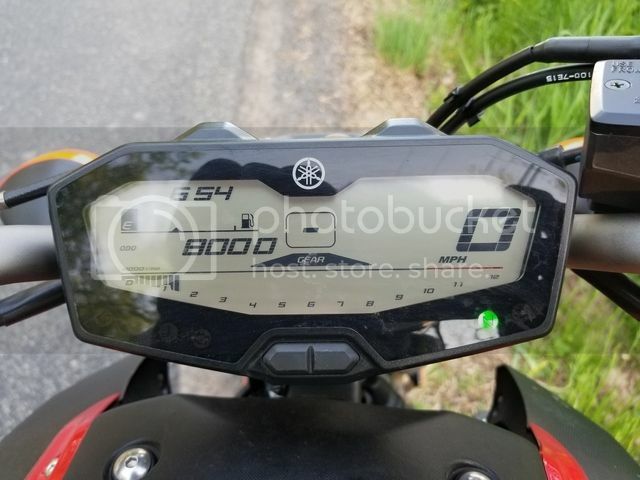 Passed 9,000 miles on my way home from Delaware yesterday. I plan to have 10,000 miles by this weekend. 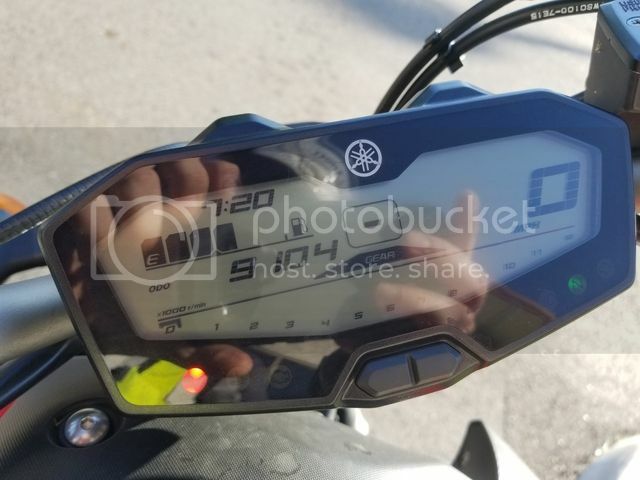 I got answers to all and achieved my best mpg average between this FZ and my previous best set on my '15 FZ-07 of around 70-71 mpg. Also planned it out pretty well as I ran out of fuel only 6/10 mile from the fuel station. +1 for 5 minutes of exercise! 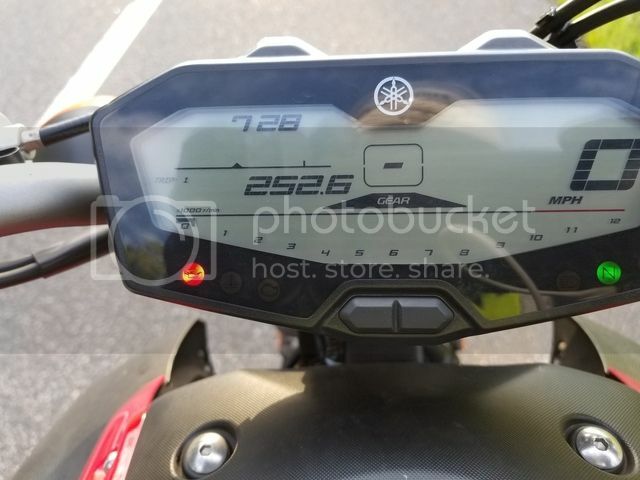 A) How far can I go on a hypermiled fuel tank (averaged 40 mph ranging from 0-55 mph through moderately hilly terrain) 252.6 miles once the motor completely gave up due to lack of fuel, began stuttering at around 248 tank miles. 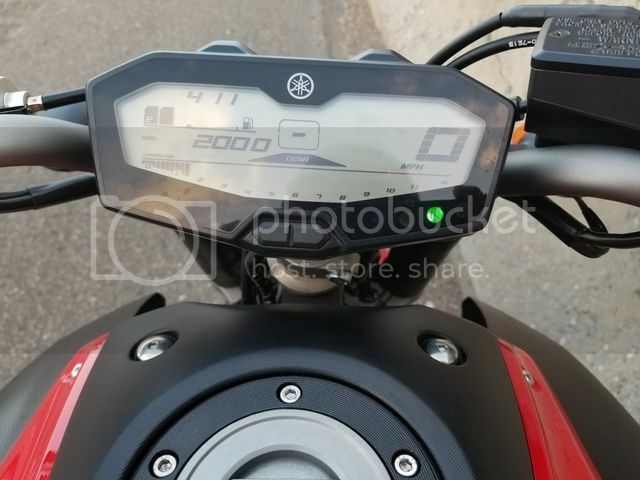 B) Once trip F came on I continued to ride but kept it close to three fuel stations so my push wouldn't be horrible. Made it 51.2 miles on trip F.
C) A completely dry (usable fuel) tank took 3.490 gallons to fill up. 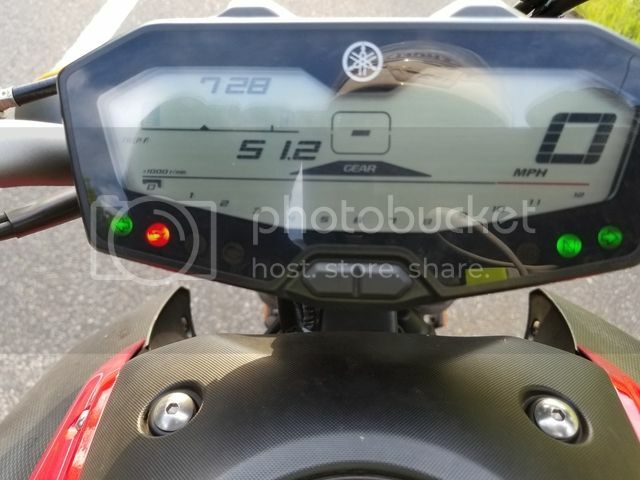 D) I got my best fuel efficiency average between this and my previous '15 FZ-07. 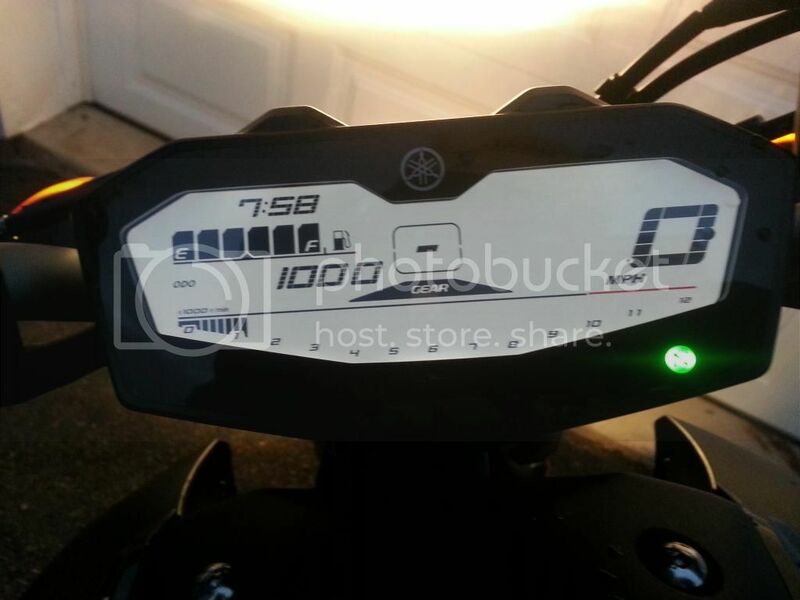 The bike indicated 66.9 mpg average but the actual average was 72.5 mpg. 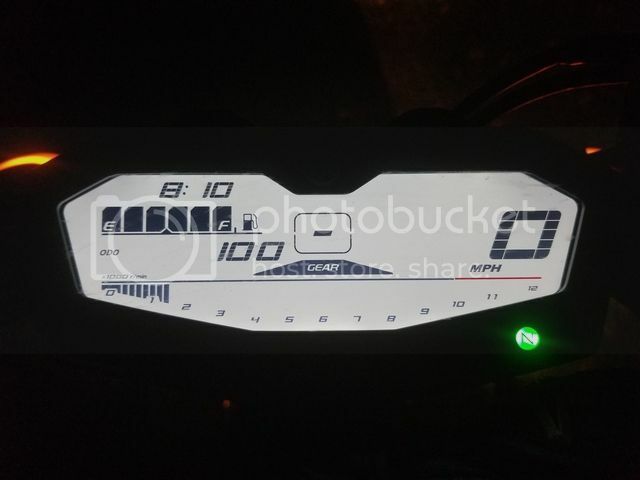 I always liked how this bike always under estimates your actual mpg average. 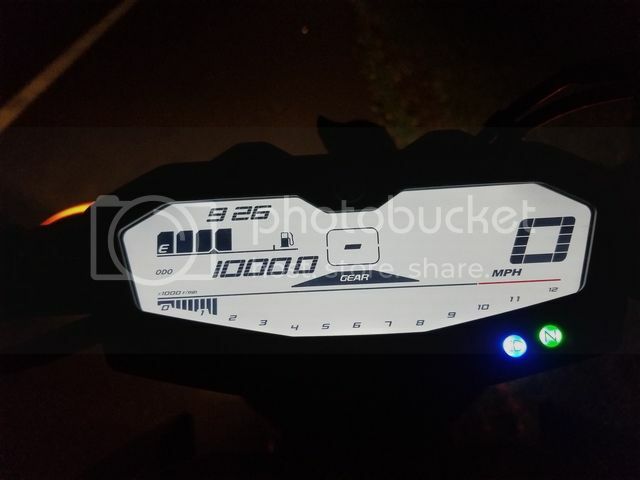 Event number 2 is I, for the first time ever on a bike have put over 10,000 miles on it in under a year. In the garage right now with 10,001 miles. 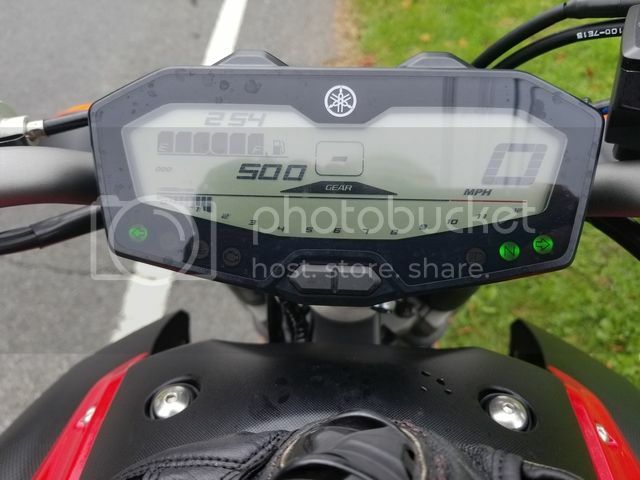 My current average is 40.49 miles per day since picking the bike up from the dealer on 2 November 2017. 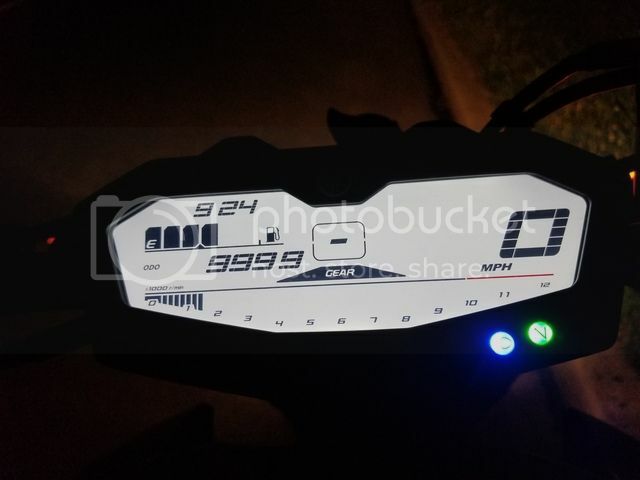 This will drop down to around 21 miles per day as come Monday I'll be losing my license for 7 months most likely, though could be up to 13 months that I won't be able to ride, worst case. But come February (or August) I'll be sure to make that 9,000-16,000 mile gap up within the year after I begin to ride again.